The Denver Broncos have decided to part ways with offensive lineman Menelik Watson, according to a report from Mike Klis. Watson was signed to a three-year contract during the 2017 offseason worth $18.3 million and it was anticipated that he would be the team’s long-term solution to the right tackle position. Watson only played the first seven games for the Broncos last season after missing the rest of the year with a calf injury. Watson is out with a pectoral injury, and will placed on injured reserve with his release coming after he’s healthy. The sixth-year veteran from Manchester, England was graded by Pro Football Focus as one of the worst offensive tackles in the NFL last year and allowed eight sacks in the seven games that he played. On the latest Broncos’ depth chart, Watson was listed as the backup right guard behind Connor McGovern and his $5.5 million salary for the 2018 season is fully guaranteed. 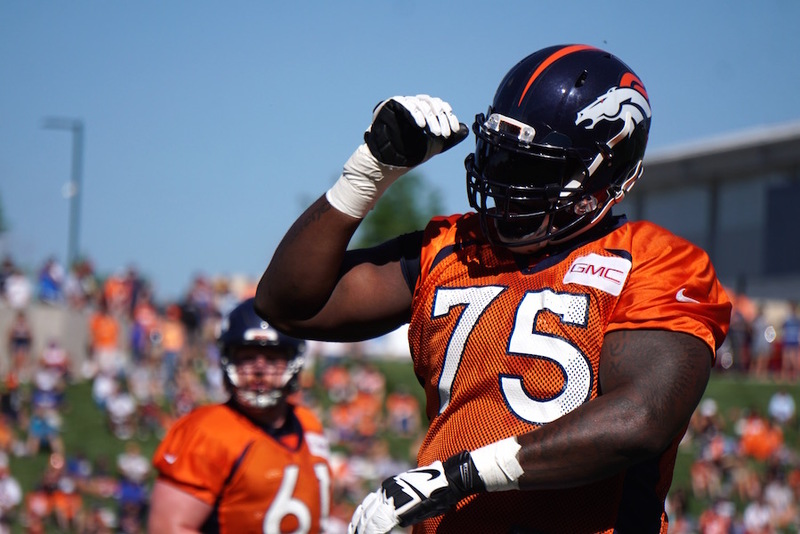 Watson is just one of many offensive linemen that general manager John Elway has missed on (Donald Stephenson, Michael Schofield) and it appears as if the Broncos have already decided on who will be starting for them on their offensive line in 2018 ( LT: Garett Bolles, LG: Ronald Leary, C: Matt Paradis, RG: Connor McGovern, RT: Jared Veldheer).